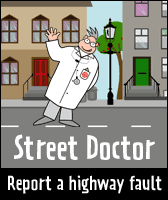 This bus is free to all residents and will run every Thursday until further notice. Parents and Tots is open on first Thursday of the month, until Easter, from 10am until 12 o'clock. Helmdon Health Walks start again on Thursday 10th January 2019 at 1.45pm. 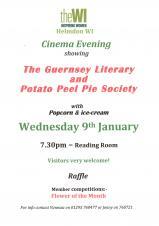 Showing "The Guernsey Literary and Potato Peel Pie Society"
Your parish team of five battle it out over 5 rounds to find the brainiest parish! £10 per head for the quiz and meal (provided by Annie's Pantry). Meeting of the Planning Committee - all welcome. HTML5 validated. WCAG compliant. Page generated in 0.5255 seconds.